Seems like every celebrity these days is endorsing something to keep their name out there and relevant, and while having your name associated with a spirit is a big deal for them, for us, it’s also a way of almost hanging with Jay-Z and Puffy minus the entourage and the headache of the club. While the list of celebrities and their new liquor’s we have below is random, they are excellent, interesting, and delicious. Whether you’re throwing a New Year’s Eve party or just interested in trying a new spirit, celebrity themed drinks we highly recommend include Casa Noble Tequila (Santana), made from 100% blue agave. Conjure Cognac (Chris “Ludacris” Bridges), which has a rich golden-copper color, and hints of cedar, cocoa and hazelnut. One of the most interesting bottles we have found is Crystal Head Vodka (Dan Aykroyd), which is a skull shaped crystal bottle filled with vodka triple filtered through polished crystals known as Herkimer diamonds, free of additives. 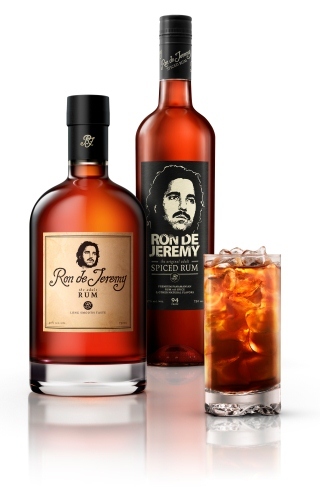 But the spirit we love most is Ron de Jeremy Rum (Ron Jeremy), which has been aged for seven years and offers balanced, harmonious notes of fruit, oak and spice which are complemented by hints of vanilla and raw sugarcane on the finish. Each one of these spirits are worth checking out for taste as well as design so you can’t lose whatever you choose. The cocktails (recipes below) are as varied as the spirits’ creators and showcase the versatility of each libation. Shake Conjure, orange liqueur, limejuice and orange juice with ice, strain. Serve in a grenadine-rimmed glass and garnish with star fruit. Pour on the rocks and enjoy. Pour hot water into coffee mug to warm the glass. Pour out water and place butter in the mug. Add Ron de Jeremy Rum, SNAP and black tea. Garnish with freshly grated nutmeg.